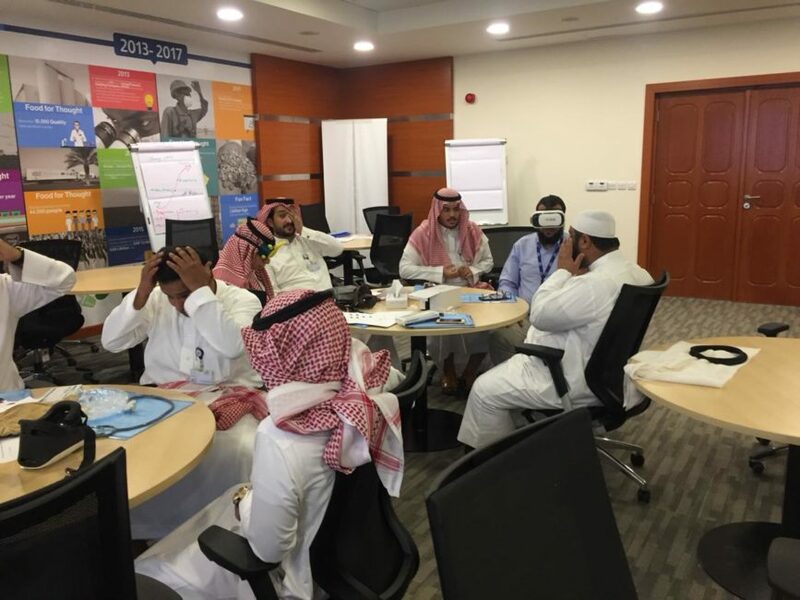 SAUDI ARABIA: On Sunday 4 Nov 2018, Qaderoon Business Disability Network held a workshop on emergency evacuation for persons with disabilities in collaboration with the Universal Accessibility Program at King Saud University and hosted at Almarai head office in Riyadh. The workshop was facilitated by Dr. Mohammed Al-Qahtani and Dr. Ahmed Al-Hefnawy of King Saud University. The workshop, which was designed for Qaderoon members’ safety leads, aimed to help trainees plan and execute different evacuation plans, as well as safety measures for various disabilities. The workshop included different exercises such as the proper use of evacuation chairs. The workshop witnessed good interaction between the trainees regarding assistive devices and related safety procedures. On Tuesday 13 November 2018, Qaderoon Network held a workshop on Inclusive Products & Services for persons with disabilities, hosted at Almarai head office in Riyadh. The workshop was attended by Almarai, Panda Retail and Nesma Holding employees. The workshop aimed to raise awareness on how to design inclusive products and services that meet the needs of persons with different types of disabilities, as well as developing an inclusive customer service process for customers with disabilities. The workshop shared case studies and examples of organizations adopting inclusive processes in this field. During the workshop the trainees discussed the business case of developing inclusive products and services for persons with disabilities, and how businesses can gain the loyalty of a significant segment of customers estimated globally at 15% of society.